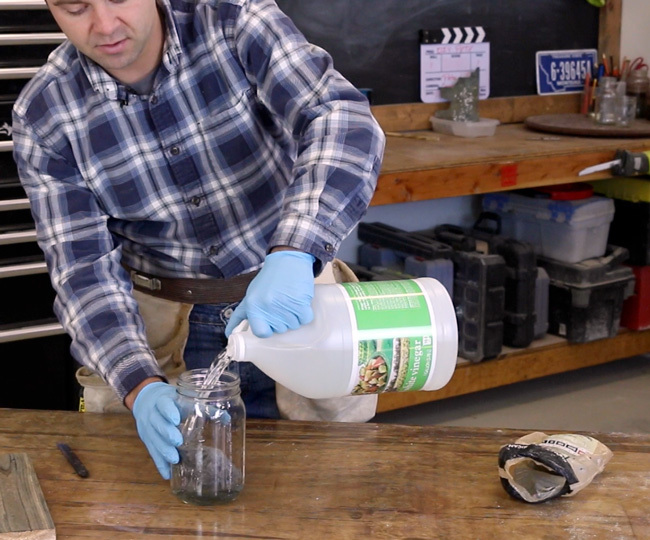 One of the most frequently asked questions that we have gotten is how to make the steel wool and vinegar solution that can be used as a wood stain. 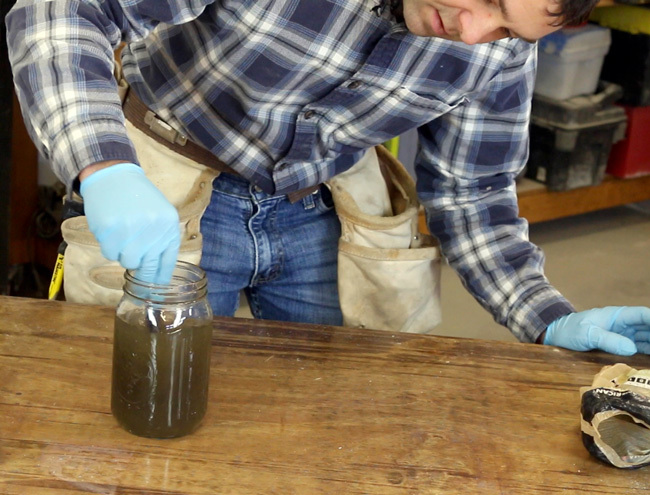 For this week's video we wanted to walk you through this process, in real time, showing exactly what you need to make your own wood stain. This is very simple, doesn't take long, and only costs a couple of dollars to make. Check it out! Let the vinegar dissolve the steel wool for at least two to three days. With the vinegar solution you definitely want to leave the lid off, as it releases a gas that you’ll want to let escape from the jar. The mixture will get darker the longer you let it sit, but you can always dilute that dark concentrate with more vinegar later on. After it has been sitting and brewing for a couple of days, the steel wool should have risen to the top of the jar. We'll want to stir everything in the jar together, with a stirring stick of some sort. Then we'll filter out the bits of steel wool by pouring it through a paper towel or coffee filter into another, empty jar. It will be murky color, but after the next step we'll achieve the nice amber tone we're after. 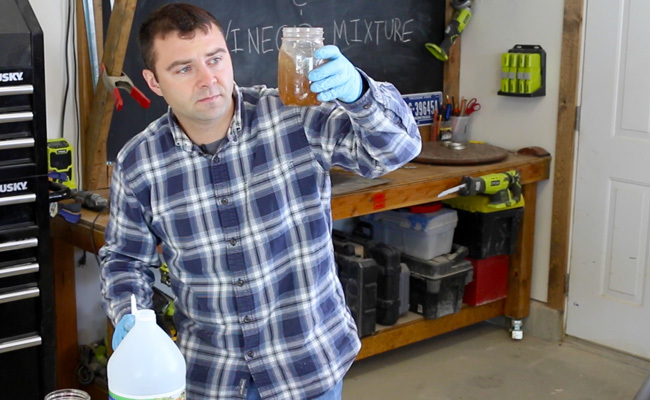 See the video for more information regarding filtering the mixture. 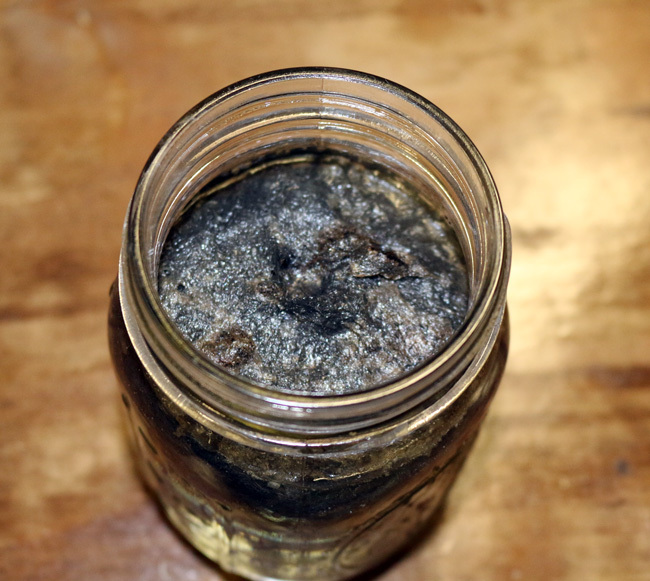 You are so close to having made your very own batch of steel wool and vinegar stain, I can almost see the end result! 🙂 We just need to be a little more patient and let the mixture sit for another few hours. Over the next waiting period, the mixture will continue to react or brew and will eventually become more of an amber color – that's what we're going for. Let the filtered steel wool and vinegar solution sit for another 6-24 hours, then move on to staining! Here's a look at that nice amber color we're going for. Dilute if desired, then Apply to wood! You can always dilute your mixture if it is too strong. Simply pour a little of the strong mixture or concentrate into a new jar and add distilled white vinegar to the jar. 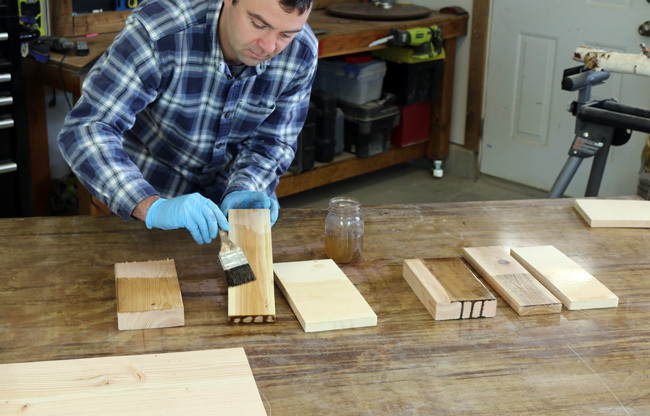 Grab some test scraps of wood to experiment with the staining. Oxidation will occur and the mixture reacts with the tannins in the wood to give it variations in color. 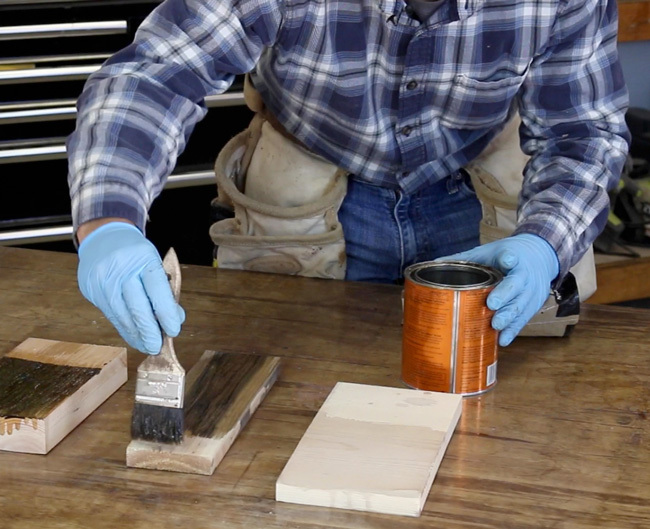 The color you see when you initially brush it onto the wood is not the final color, let it react and do its thing for another few hours to see your final stain. It changes Fir wood to dark blues, greys, browns, and black. Pine, however will not darken much at all. After it's been applied and has set in for a few hours, feel free to seal it all up with polyurethane. 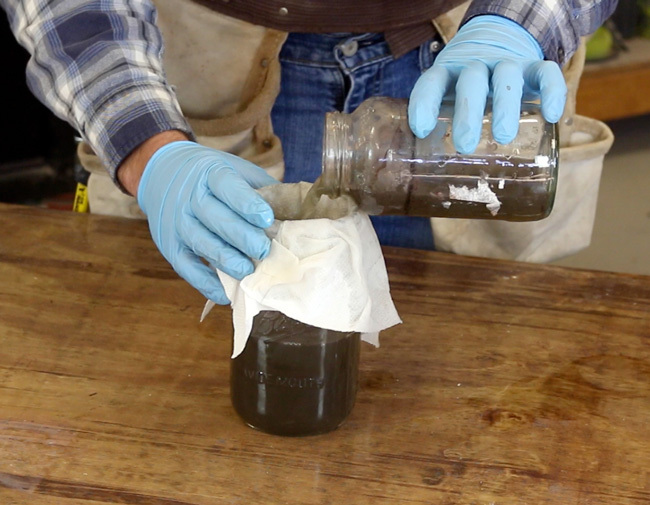 Thanks for checking out this week's video on how to make your own DIY wood stain. I hope this video helps answer your questions, if not though, comment below and we're happy to go into more details! Post your DIY project photos that you've used this stain on, we'd love to see. Cheers!